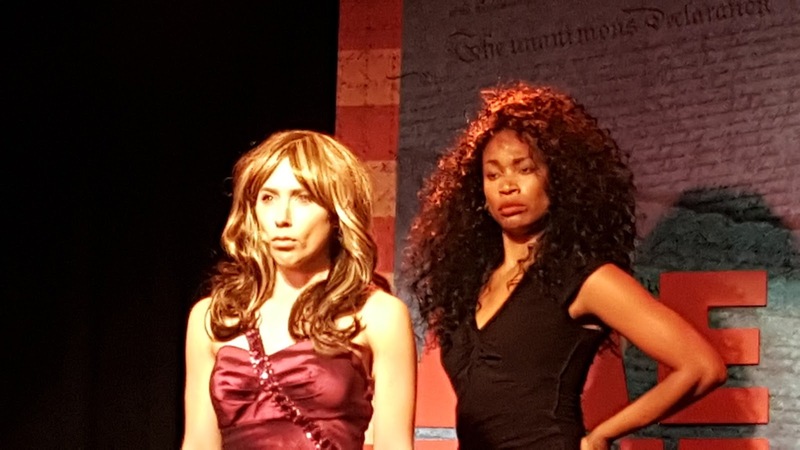 A few months ago, I saw this intense play, BUILDING THE WALL by Robert Schenkkan, after attending a press junket to introduce the cast and creatives. read more about it HERE. It is an example of how, as of late, artists channelling their anger into art. Mr. Schenkkan told me that it was after President Trump won, he just had to do something. His sense of rebellion was so palpable and so serious. 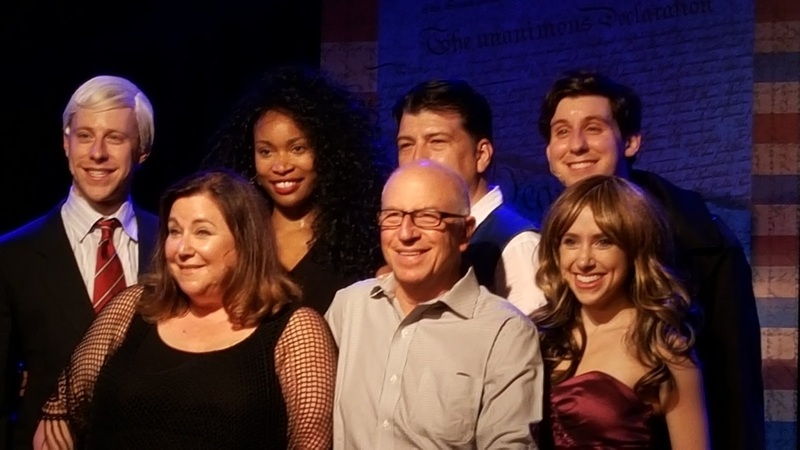 On the flipside, I just recently saw a new production at the Triad entitled, Me The People: The Trump America Musical with book and lyrics by NANCY HOLSON, musically directed and arranged by JAMES HIGGINS, produced by JIM RUSSEK, and directed by JAY FALZONE. 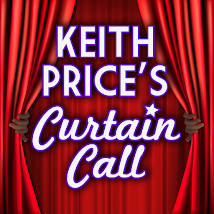 It has a wonderfully energetic cast featuring: AIESHA DUKES, MITCHEL KAWASH, RICHARD SPITALETTA, AND MIA WEINBERGER. 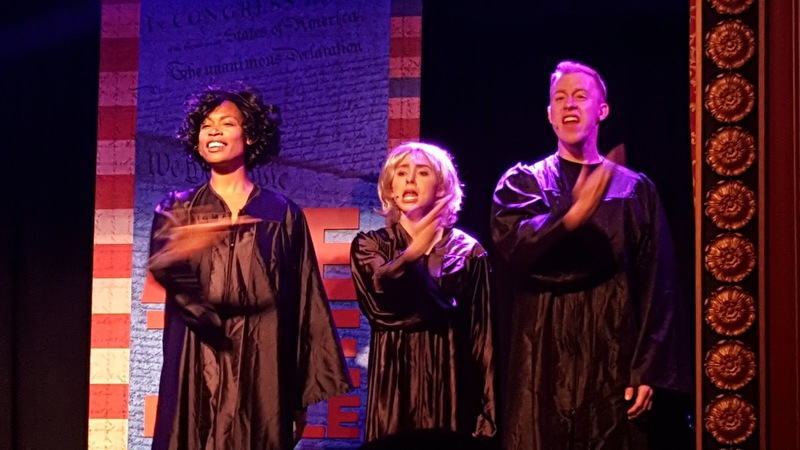 This show uses pop music of different eras, with reworked lyrics by Nancy Holson, to reflect some of those same fears and ire that this current Presidential administration has seem to create for the more liberal minded thinkers. It is still palpable, but somehow it also finds humor. Certain topics like the potential of the Supreme Court nominees and their impact on the laws of our land, the "interesting" attachment that our current leader has with his Mara Lago hotel site, a funny but interesting peek into Ivanka and Jared's roles in this new administration, as well as, the use of social media by the leader of a "first world" country, are all explored and lampooned. "Welcome to the Hotel Mara Lago"
For many people seeing this piece will feel like a "preaching to the choir" moment with a fun selection of hymns. For others, the mere mention of President Trump being placed in a position of being mocked, or as in the case of this year's PUBLIC THEATER Shakespeare in the Park production of JULIUS CEASER, can make some supporters very angry. Of course, these were people who have not read Julius Caeser, cliff notes or otherwise. If they read the piece, they would know that it is a commentary on power and politics. The fact that some people are sometimes so ill informed and reactionary, is one of my concerns when I talk with the cast and some of the creatives involve in this piece. 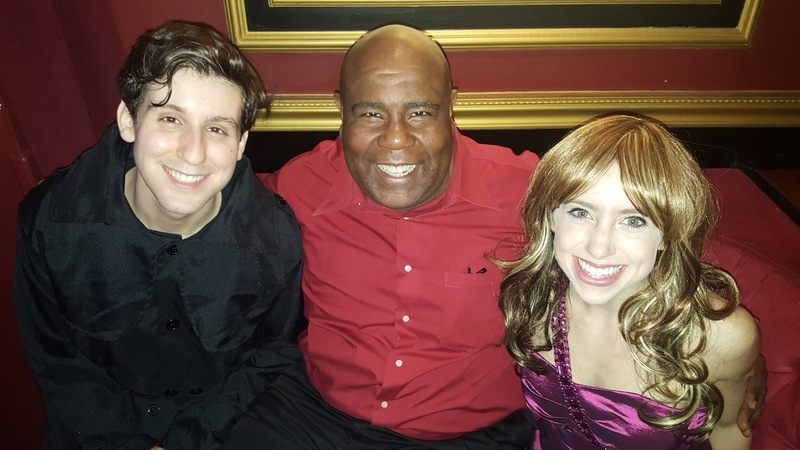 These young actors are singing and dancing their hearts out, and are very aware of the potential political ramifications of what they are doing. The show ends on what some might find an objectionable tone if you are on the right side of center. Nothing as extreme as Kathy Griffin, but it might make someone bristle. My feeling is, if Nancy and that cast continue to stick together through whatever comes their way, then we will all have to get over ourselves. After seeing the show, I asked Nancy if she is prepared to stand by every lyric and I have to give it to her. She is making it her mission to stay as connected to the news to continually update the show. This means that if there is something insanely huge in the news, then the show will find a way to wedge it in the mix. 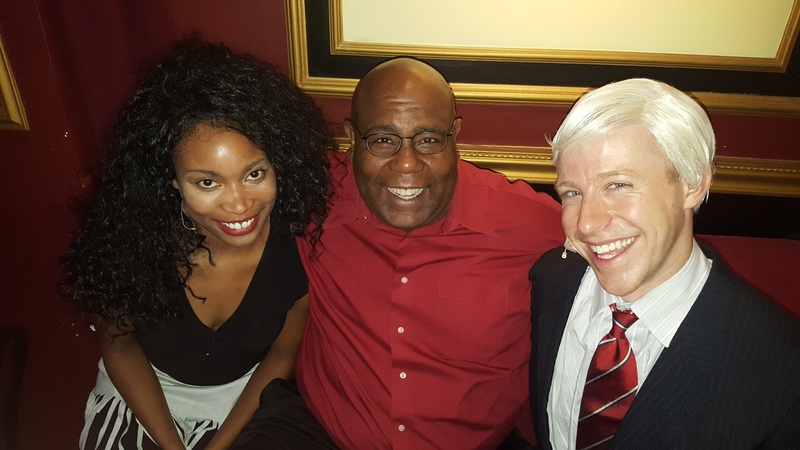 The show does have an agreement that if President Trump is impeached, the show will close that night. I predict there will be many more rewrites and additions before that happens, and if impeachment actually gets him, then I hope she has plans for the Mike Pence follow up. God help us all.